Do you know that you can survive for several days without water and survive for a month without food, but you cannot survive for more than five minutes without oxygen? Life depends on breathing because the cells of the body need oxygen. You breathe in to bring fresh air into the lungs. The lungs must separate the oxygen from the air. Then you breathe out to get rid of the carbon dioxide that the body does not need. Breathing is a mechanical process. It is a process of pumping air into and out of the lungs. 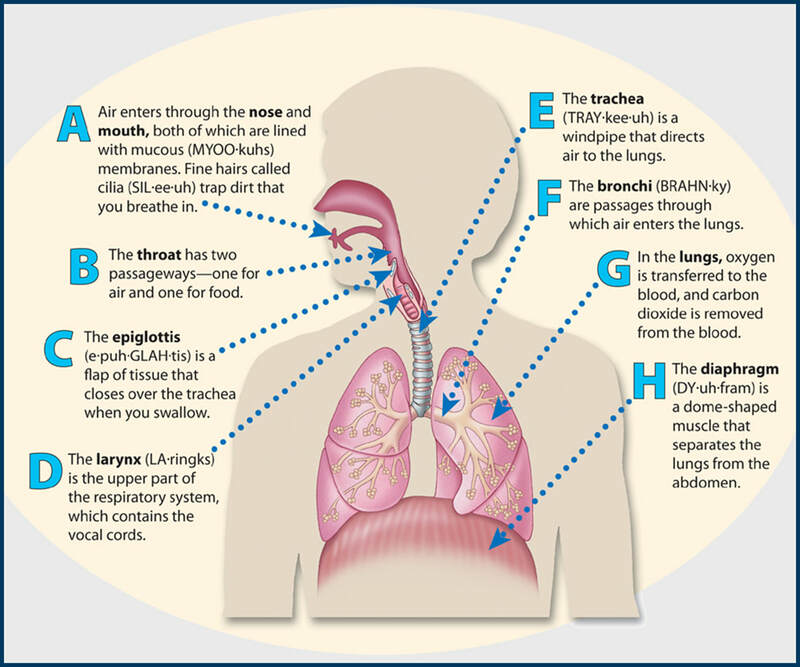 Breathing is done by a group of organs that make up the RESPIRATORY SYSTEM. The function of the respiratory system is to exchange oxygen and carbon dioxide between the air and the cells. ​At the end of this lesson, learners are expected to demonstrate an understanding of: (1) how the different structures of the circulatory and respiratory systems work together to transport oxygen-rich blood and nutrients to the different parts of the body; and (2) the prevention, detection, and treatment of diseases affecting the circulatory and respiratory systems.